In recent years, researchers have identified a strong association between anger-hostility and some of the most common diseases in the modern age. Diabetes, heart disease and even the process of wound healing are negatively influenced by psychological distress caused by the frequency and severity of angry, hostile feelings and expressions. The case for anger management has become so well accepted that select mind-body techniques, such as cognitive behavioral therapy and slow breathing exercises, are now being integrated into mainstream medicine. This is excellent news, so far as it goes. In the realm of alternative and complementary medicine, other modalities are being studied. Korean physicians acknowledge the reality of an anger syndrome known as Hwa-Byung. A current study in Evidence-Based Complementary and Alternative Medicine reports that practicing the Emotional Freedom Technique (EMT) reduces physical and psychological symptoms in Hwa-Byung patients more effectively than progressive muscle relaxation. EMT is a psychological therapy that involves tapping on acupuncture/meridian points. Applying (acu)pressure to specific meridians has, likewise, been shown to improve a variety of mood-related traits, including tension-anxiety, depression-dejection and anger-hostility in college students. Other research reveals that: a) expressive writing decreases anger and distress in war veterans living with PTSD; b) yoga practice in a school setting lessens adolescent feelings of anger, depression and fatigue better than conventional exercise aka physical education or PE. As far as supplements go, two studies from 2015 suggest a remedy for daytime and nighttime use. A 200 mg dose of Rhodiola rosea, taken prior to breakfast and lunch, decreased subjective reports of anger, anxiety, confusion, depression and stress in a group of 80 “mildly anxious” volunteers. It should be noted that the effects took hold rather quickly as the duration of the study was only 14 days. If you’re dealing with ongoing anger and sleep difficulties, consider supplementing with 400 mg of L-ornithine, a non-essential amino acid. A trial published in the June issue of Nutrition Journal documented a decline in anger-hostility, reduced stress and sleep improvement over the course of the 8 week experiment. One might also consider a combination of both supplements or blending mind-body approaches with supplements if adequate improvements aren’t perceived using just one therapy alone. J Diabetes Metab Disord. 2015 Jul 22;14:62. The association of vitamin D deficiency with psychiatric distress and violence behaviors in Iranian adolescents: the CASPIAN-III study. BACKGROUND: Subtle effects of vitamin D deficiency on behavior have been suggested. We investigated the association of vitamin D status with mental health and violence behaviors in a sample of Iranian adolescents. METHODS: This nationwide study was conducted in 2009-2010 in 1095 Iranian school students with mean age 14.7 ± 2.6 years. Items were adapted from the Global School-based Student Health Survey (GSHS). Psychiatric distress was considered as the self-reported anger, anxiety, poor quality sleep, confusion, sadness/depression, worry, and violence-related behaviors (physical fight, having bully, or getting bullied). RESULTS: Forty percent had serum 25(OH)D values below 10 ng/mL (vitamin D deficient), and 39 % had levels 10-30 ng/mL (vitamin D insufficient). The prevalence of self-reported anger, anxiety, poor quality sleep, sadness/depression, and worry was significantly lower (P < 0.05) in vitamin D sufficient participants compared with their other counterparts. The odds of reporting anger, anxiety, poor quality sleep, and worry, increased approximately 1.5 to 1.8 times in vitamin D insufficient compared with normal children and adolescents (P < 0.05). Risk estimates indicated that vitamin D insufficient and deficient subjects had higher odds of reporting worry compared to normal vitamin D group [OR = 2.417 (95 % CI: 1.483-3.940) for vitamin D insufficient students, and OR = 2.209 (95 % CI: 1.351-3.611) for vitamin D deficient students] (P-trend = 0.001). Violence behaviors did not show any association with vitamin D status (P > 0.05). CONCLUSION: Some psychiatric distress such as anger, anxiety, poor quality sleep, depression, and worry are associated with hypovitaminosis D in adolescents. The clinical significance of the current findings should be determined in future longitudinal studies. Int J Nurs Pract. 2015 Nov 6. Effects of the Anger Coping Programme based on cognitive behavioural techniques on adolescents’ anger, aggression and psychological symptoms. This study aimed to determine the effects of an Anger Coping Programme based on cognitive behavioural techniques on adolescents’ anger, aggression and psychological symptoms. In this randomized controlled experimental study, 385 ninth-year high school students in Turkey were administered the State-Trait Anger Expression Inventory, the Aggression Scale and the Brief Symptom Inventory in 2011-2012. Of the 385 students, 62 who met the inclusion criteria were randomly assigned to experimental and control groups by gender and the scores they obtained from the scales. The students in the experimental group met 1 day a week for 1.5 h, and the study lasted 10 weeks. The scales were administered three times: before the programme was started, immediately after the programme was completed and 6 weeks later. The Anger Coping Programme was effective at reducing students’ anger and aggression levels, and a range of psychological symptoms except for somatization. The effects of “The Work” meditation (Byron Katie) on psychological symptoms and quality of life–a pilot clinical study. OBJECTIVES: “The Work” is a meditative technique that enables the identification and investigation of thoughts that cause an individual stress and suffering. Its core is comprised of four questions and turnarounds that enable the participant to experience a different interpretation of reality. We assessed the effect of “The Work” meditation on quality of life and psychological symptoms in a non-clinical sample. DESIGN: This study was designed as a single-group pilot clinical trial (open label). Participants (n = 197) enrolled in a nine-day training course (“The School for The Work”) and completed a set of self-administered measures on three occasions: before the course (n = 197), after the course (n = 164), and six months after course completion (n = 102). OUTCOME MEASURES: Beck Depression Inventory-II (BDI-II), Subjective Happiness Scale (SHS), Quality of Life Inventory (QOLI), Quick Inventory of Depressive Symptomatology-Self Report (QIDS-SR16), Outcome Questionnaire 45.2 (OQ-45.2), State-Trait Anger Expression Inventory-2 (STAXI-2), and State-Trait Anxiety Inventory (STAI). RESULTS: A mixed models analysis revealed significant positive changes between baseline compared to the end of the intervention and six-month follow-up in all measures: BDI-II (t = 10.24, P < .0001), SHS (t = -9.07, P <.0001), QOLI (t = -5.69, P < .0001), QIDS-SR16 (t = 9.35, P < .0001), OQ-45.2 (t = 11.74, P < .0001), STAXI-2 (State) (t = 3.69, P = .0003), STAXI-2 (Trait) (t = 7.8, P < .0001), STAI (State) (t = 11.46, P < .0001), and STAI (Trait) (t = 10.75, P < .0001). CONCLUSIONS: The promising results of this pilot study warrant randomized clinical trials to validate “The Work” meditation technique as an effective intervention for improvement in psychological state and quality of life in the general population. Conscious Cogn. 2015 Dec 31;40:54-66. A single session of meditation reduces of physiological indices of anger in both experienced and novice meditators. The goal of the present study was to explore how anger reduction via a single session of meditation might be measured using psychophysiological methodologies. To achieve this, 15 novice meditators (Experiment 1) and 12 practiced meditators (Experiment 2) completed autobiographical anger inductions prior to, and following, meditation training while respiration rate, heart rate, and blood pressure were measured. Participants also reported subjective anger via a visual analog scale. At both stages, the experienced meditators’ physiological reaction to the anger induction reflected that of relaxation: slowed breathing and heart rate and decreased blood pressure. Naïve meditators exhibited physiological reactions that were consistent with anger during the pre-meditation stage, while after meditation training and a second anger induction they elicited physiological evidence of relaxation. The current results examining meditation training show that the naïve group’s physiological measures mimicked those of the experienced group following a single session of meditation training. Trauma Violence Abuse. 2016 Mar 23. Forgiveness Therapy for the Promotion of Mental Well-Being: A Systematic Review and Meta-Analysis. Interpersonal hurts and violence against the individual have a high prevalence and are associated with a range of long-term problems in terms of psychological functioning. There is a growing body of research highlighting the role of forgiveness therapy in improving different aspects of psychological health in populations who have experienced diverse types of hurt, violence, or trauma. This article reports the findings of a systematic review and meta-analysis of the efficacy of process-based forgiveness interventions among samples of adolescents and adults who had experienced a range of sources of hurt or violence against them. Randomized controlled trials were retrieved using electronic databases and an examination of reference sections of previous reviews; each study was assessed for risk of bias. Standardized mean differences (SMDs) and confidence intervals (CIs) were used to assess treatment effects. The results suggest that forgiveness interventions are effective in reducing depression (SMD = -0.37, 95% CI [-0.68, -0.07]), anger and hostility (SMD = -0.49, 95% CI [-0.77, -0.22]), and stress and distress (SMD = -0.66, 95% CI [-0.91, -0.41]) and in promoting positive affect (SMD = -0.29, 95% CI [-0.52, -0.06]). There was also evidence of improvements in state (SMD = -0.55, 95% CI [-0.88, -0.21) and trait (SMD = -0.43, 95% CI [-0.67, -0.20]) forgiveness. The findings provide moderately strong evidence to suggest that forgiving a variety of real-life interpersonal offenses can be effective in promoting different dimensions of mental well-being. Further research is, however, needed. Ann Behav Med. 2016 Apr 11. Forgiveness, Stress, and Health: a 5-Week Dynamic Parallel Process Study. BACKGROUND: Psychological stress is a well-known risk factor for poor health, and recent research has suggested that the emotion-focused coping process of forgiveness may help mitigate these effects. To date, however, no studies have examined how levels of forgiveness, stress, and health fluctuate and interrelate over time. PURPOSE: We addressed this issue by examining how forgiveness, stress, and mental and physical health symptoms change and relate to one another over 5 weeks. We hypothesized that increases in state levels of forgiveness would be associated with decreases in perceptions of stress, which would in turn be related to decreases in mental and physical health symptoms. A reverse effects model was also tested. METHODS: We recruited a large, community-based sample of 332 young, middle-aged, and older adults (16-79 years old; M age = 27.9). Each week for 5 weeks, participants reported on their levels of state forgiveness, perceived stress, and mental and physical health symptoms. RESULTS: Levels of forgiveness, stress, and mental and physical health symptoms each showed significant change and individual variability in change over time. As hypothesized, increases in forgiveness were associated with decreases in stress, which were in turn related to decreases in mental (but not physical) health symptoms (i.e., forgiveness → stress → health). The reverse effects model (i.e., health → stress → forgiveness) provided a relatively poorer fit. CONCLUSIONS: This study is the first to provide prospective, longitudinal evidence showing that greater forgiveness is associated with less stress and, in turn, better mental health. Strategies for cultivating forgiveness may thus have beneficial effects on stress and health. Span J Psychol. 2016 Apr 29;19:E19. High Anger Expression is Associated with Reduced Cortisol Awakening Response and Health Complaints in Healthy Young Adults. 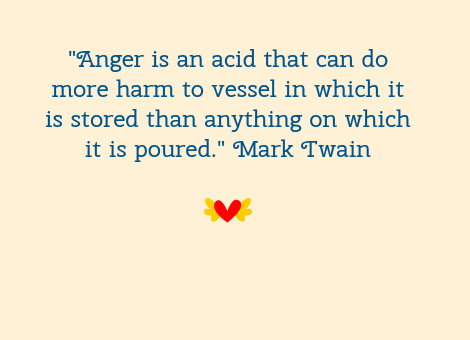 The extant evidence suggests a robust positive association between expression (anger expression-out) and suppression (anger expression-in) of anger and compromised health. Nevertheless, the underlying psychobiological mechanisms which explain these relationships are not well understood. This study examined whether anger expression would predict general health, cortisol awakening response (CAR) and evening cortisol levels in a community sample of 156 healthy young adults of both genders. Participants were distributed into two groups according to their anger expression scores: high and low anger expression (HAE and LAE, respectively). Findings indicated that those with HAE had worse self-reported health (p = .02) and higher CAR than the LAE group (p = .04). Moreover, high levels of anger expression-out (p < .01) and -in (p < .01, for all) predicted a worse self-reported health in both groups. On the other hand, high anger expression-out was associated with flattened CAR but only in the HAE group (p < .01). This study reinforces the need to develop effective strategies to provide mechanisms to regulate anger expression by promoting personal growth and positive skills that enhance individuals’ well-being and quality of life and, in turn, their own health. J Nutr Health Aging. 2013;17(8):674-80. Efficacy of fasting and calorie restriction (FCR) on mood and depression among ageing men. OBJECTIVE: An intervention study on the FCR (Fasting and Calorie Restriction) dietary regime was carried out to determine its efficacy in improving mood states and depression status among ageing men. SUBJECTS: A total of 32 healthy males (Mean±SD), aged 59.7±6.3 years, with a BMI of 26.7±2.2 kg/m2 were recruited to the study. METHOD: Participants were randomized to either the FCR group (and were instructed to follow a calorie restricted dietary regime with intermittent fasting) or to the control group (in which individuals were asked to maintain their current lifestyle), for a 3 month period. Mood was assessed using the Profile of Mood States and depression was assessed using Beck Depression Inventory-II and Geriatric Depression Scale-15 at baseline, week 6 and week 12 of the intervention. RESULTS: A total of 31 subjects completed the study (n=16, FCR and n=15, control). 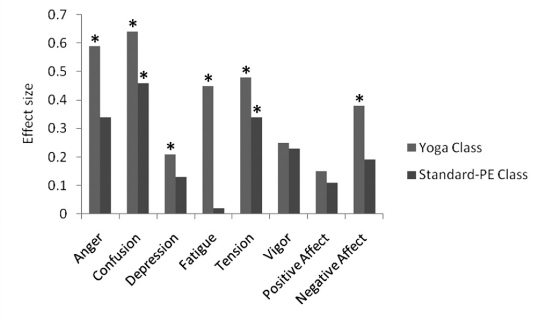 Significant decreases in tension, anger, confusion and total mood disturbance and improvements in vigor were observed in participants in the FCR group compared to the control group (p<0.05). No significant changes in mean depression scores were observed. Weight, BMI and percent body fat were reduced by 3.8%, 3.7% and 5.7% respectively in the FCR group. CONCLUSIONS: Our findings show that a FCR dietary regime is effective in improving mood states and nutritional status among ageing men. Iran J Psychiatry. 2016 Jan;11(1):43-50. The Association between Dairy Intake, Simple Sugars and Body ‎Mass Index with Expression and Extent of Anger in Female ‎Students ‎. PLoS One. 2016 Aug 1;11(8):e0159841. The Effects of an Online Mind-Body Training Program on Stress, Coping Strategies, Emotional Intelligence, Resilience and Psychological State. The goal of this study was to evaluate the effects of an online mind-body training (MBT) program on participants’ stress, anger, coping strategies, emotional intelligence, resilience, and positive and negative affect. Forty-two healthy women participated in an online MBT program for approximately 8-10 minutes a day for 8 weeks; a control group of 45 healthy women did not participate in the program. Self-report psychological questionnaires were administered before the beginning of the program and at 4 and 8 weeks following its onset. Data from the MBT group and the control group were compared using repeated measures ANOVA and Student’s t-tests. Significant time x group interaction effects were found with respect to stress, coping strategies, anger, emotional intelligence, negative affect and resilience. These results demonstrate beneficial effects of the online MBT program and significant improvements in the psychological capabilities of participants compared with the control group. The effects of online MBT program were similar with those of the previous offline MBT in psychological aspects, suggesting further studies for neuroscientific evidence related stress and emotion of online MBT effects. Indian J Psychol Med. 2016 May-Jun;38(3):213-6. Mindfulness-Based Program for Management of Aggression Among Youth: A Follow-up Study. BACKGROUND: Youth have shown indulgence in various high-risk behaviors and violent activities. Yoga-based approaches have been used for the management of psychological problems. The present work explores the role of mindfulness-based program in the management of aggression among youth. MATERIALS AND METHODS: Sociodemographic information schedule, Buss-Perry Aggression Questionnaire, and World Health Organization quality of life were administered on 50 subjects in the age range of 18-25 years at pre- and post-mindfulness-based program level. RESULTS: It revealed the presence of feeling of well-being and ability to relax themselves; changes in score of anger, hostility, physical, and verbal aggression; and enhancement of quality of life in the physical and environment domains at 1 month follow-up. CONCLUSIONS: Mindfulness-based program has shown changes in aggression expression/control and implies integration of it in available program for the management of aggression among youth.